The Black Keys w/ Arctic Monkeys 2012 tour is underway! So far the reviews for the two bands have been very positive. 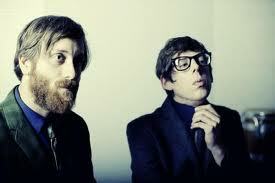 As I've mentioned several times before, you will not want to miss the Black Keys concert at the Bradley Center on May 16th. We are spoiled here in Milwaukee because we have been treated to concerts by the Black Keys twice within less than a year. Their performance at last year's Summerfest was by far the best show of the festival. If you missed that show, you'll have your chance to redeem yourself on May 16th at the Bradley Center. I'm looking forward to this concert so I already grabbed my Black Keys tickets. Won't you join me for an evening of awesome rock at the Bradley Center?